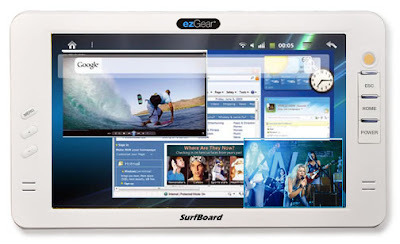 ezGear recently announced that they are on its wat to introduced its all new Android Tablet, named ezGear SurfBoard 700.The all new ezGear SurfBoard 700 Tablet is expected to runs on Google Android 2.1 OS and will be available for sale by September 2010. The new ezGear SurfBoard 700 Android Tablet comes equipped with a a 7-inch touchscreen display with resolution of 800 x 480 pixels and over 16 million colors and is powered with a RockChip RK2818 processor.The tablet has a dimension of 700 are 197 x 118 x 14 mm. ezGear SurfBoard 700 Android Tablet Features 2 megapixel webcam, Wi-Fi, stereo speakers, a microSD card slot, an USB 2.0 port, HDMI output, and 3.5mm headphone jack.The battery included within the Tablet provides a music playback life of about 22 hours and about 10 hours in video playback. As said at the beginning the new ezGear SurfBoard 700 Android Tablet will be expected to available on markets by September 2010. Tags:-Android Tablet, ezGear, ezGear SurfBoard 700, ezGear SurfBoard 700 Android Tablet features, ezGear SurfBoard 700 Android Tablet specifications, ezGear SurfBoard 700 Android Tablet launch, ezGear SurfBoard 700 Android Tablet release, ezGear SurfBoard 700 Android Tablet details, Internet tablet, SurfBoard 700, tablet, Touchscreen tablet. Pioneer Computers recently introduced its latest all new Tablet, named DreamBook ePad B10.The all new DreamBook ePad B10 Tablet is based on Intel's CULV processor platform.The new ePad B10 Tablet will be available for a price tag of $899. 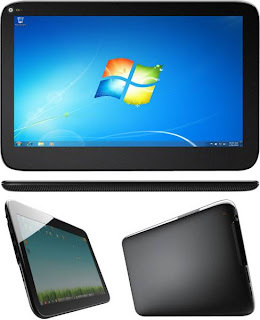 The new DreamBook ePad B10 Tablet comes equipped with a 10.1-inch LED display with resolution of 1024 x 600 pixels and is powered with either an Intel Celeron M processor 743 (1.3GHz) or an Intel Core 2 Solo SU3500 (1.4GHz).The tablet also houses a 4GB RAM and as storage options there is either 160GB to 500GB hard drive (HDD) or 64GB to 256GB solid state drive (SSD). 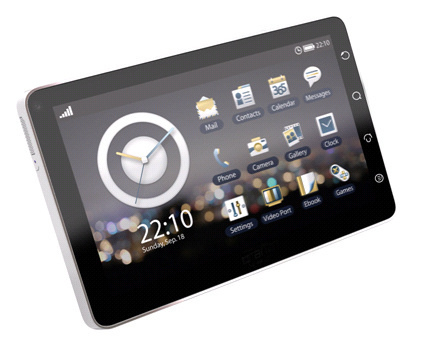 DreamBook ePad B10 Tablet Features 1.3MP webcam, Wi-Fi 802.11b/g/n, Bluetooth, 3G modem, HDMI, D-Sub and 4 USB 2.0 ports.The tablet weighs 850 grams and its dimensions are 251 x 108 x 17 mm. With all the above features the new stylish DreamBook ePad B10 Tablet is priced at $899. 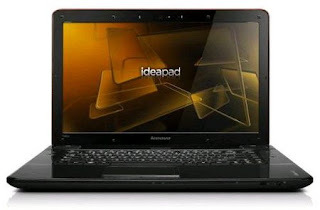 Tags:-10.1-inch tablet, DreamBook ePad B10, Intel CULV, DreamBook ePad B10 Tablet features, DreamBook ePad B10 Tablet price, DreamBook ePad B10 Tablet specifications, DreamBook ePad B10 Tablet details, DreamBook ePad B10 Tablet weight, DreamBook ePad B10 Tablet availability, DreamBook ePad B10 Tablet release, Internet tablet, Pioneer Computers, Pioneer Computers DreamBook ePad B10, tablet. 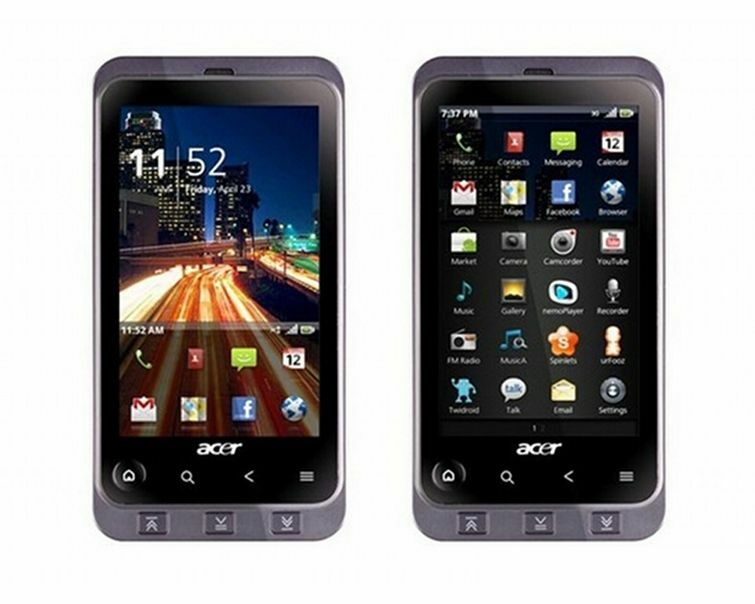 Acer recently launched their newest Android smartphone, named Acer Stream in UK.The unlocked version of new Acer Stream Smartphone will be availale for sale in UK by 3rd August with a price tag of £399.99 (about 475 EUR or $607) via online retailer "Expansys". The all new Acer Stream Smartphone comes equipped with a 3.7-inch AMOLED display with resolution of 800 x 400 pixels (WVGA) and is powered with a 1GHz Qualcomm 8250 SnapDragon processor.The Acer Stream Smartphone includes a 512MB RAM and a 512MB ROM.The smartphone has an internal memory of 2GB can be expanded via a microSDHC card. 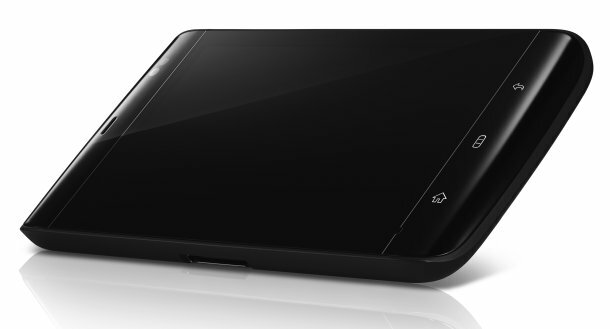 New Acer Stream Smartphone runs on Android 2.1 with Acer’s Touch 3D UI (ver. 4.0).the smartphone features 5 megapixel autofocus camera with 720p video recording at 24fps, Wi-Fi 802.11 b/g/n, 3.5mm headset jack, GPS, Dolby Mobile sound enhancement, and HDMI port.The dimension of the new Acer Stream Smartphone are 119.5 x 63 x 11.2 mm and the weight is about 126g. Tags:-acer, Acer smartphone, Acer Stream, Acer Stream Smartphone features, Acer Stream Smartphone details, Acer Stream Smartphone specifications, Acer Stream Smartphone launch, Acer Stream Smartphone release, Acer Stream Smartphone price details, Android, Phone, Smartphone, stream, unlock, Unlocked Phone, Unlocked Acer Stream Smartphone price, Unlocked Acer Stream Smartphone, Unlocked Android Smartphone price details. Olive Telecom recently announced the introduction of their upcoming Android-powered tablet, named OlivePad VT100.The all new OlivePad VT100 Tablet is expected to be available in India markets by August 2010 for a price tag between $425 to $530. 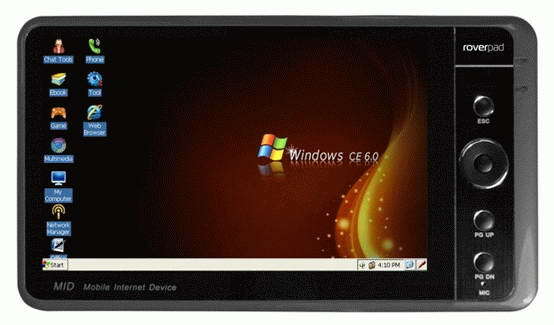 The new Olive Pad VT100 Tablet is capable of providing 3.5G bands capable in India and has the ability of cell phone.The tablet runs on Google Android 2.1 OS. The new Olive Pad VT100 Tablet comes equipped with a 7-inch touchscreen TFT display with 800 x 480 resolutions and houses 512MB RAM.Other features of the Olive Pad VT100 Tablet includes 512MB ROM,SD memory card slot,3 megapixel camera, Wi-Fi, Bluetooth, a miniUSB port, 3.5 mm headset jack, GPS, web browser, Flash support, voice and video calls. Launch of the new Olive Pad VT100 Tablet in Russia and Europe is expected to be soon after the launch in Indian market. 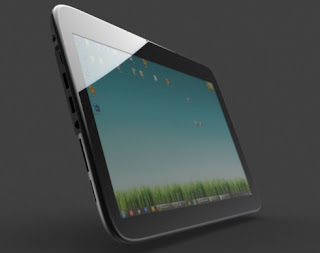 Tags:-3.5G Olive Pad VT100, 3.5G Tablet, Android, Olive Pad VT100 tablet, Olive Pad VT100 tablet features, Olive Pad VT100 tablet specs, Olive Pad VT100 tablet specifications, Olive Pad VT100 tablet availability, Olive Pad VT100 tablet launch, Olive Pad VT100 tablet price, Olive Pad VT100 tablet india launch, Olive Pad VT100 tablet india price, Olive Pad VT100 tablet price in india, Olive Pad VT100 tablet release in india, Internet tablet, Olive, Olive Pad VT100, Olive VT100, OlivePad, OlivePad VT100, Pad VT100, tablet, VT100. 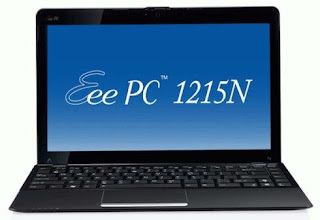 Asus recently started the sale of its new netbook, named Asus Eee PC 1215N..The new Asus Eee PC 1215N netbook comes featured with USB 3.0 and Bluetooth 3.0.The netbook is now available for pre-order via ExcaliberPC priced at $499. The new Asus Eee PC 1215N Netbook comes equipped with a 12.1-inch LED backlit display with resolution of 1366×768 pixel and is powered with 1.8GHz Intel Atom D525 dual-core processor.The Eee PC 1215N netbook features NVIDIA ION 2 with Optimus Technology that helps in the improvement of battery life. 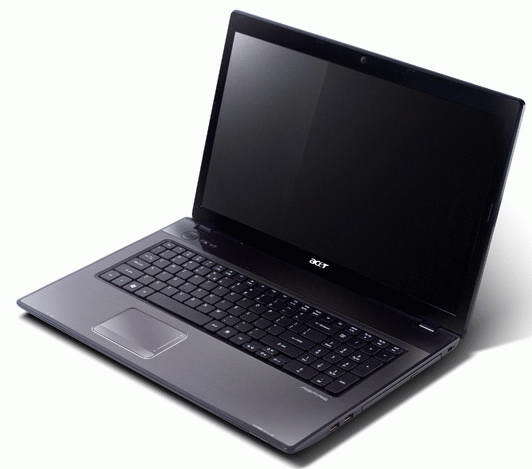 Asus Eee PC 1215N Netbook includes a 2GB DDR3 RAM along with a 250GB hard drive as storage options.The netbook features 1.3-megapixel webcam, 802.11b/g/n WiFi, SD/MMC card reader, Bluetooth 3.0, 2 USB 3.0 ports, USB 2.0 Sleep’n'Charge port,HDMI port and VGA out. 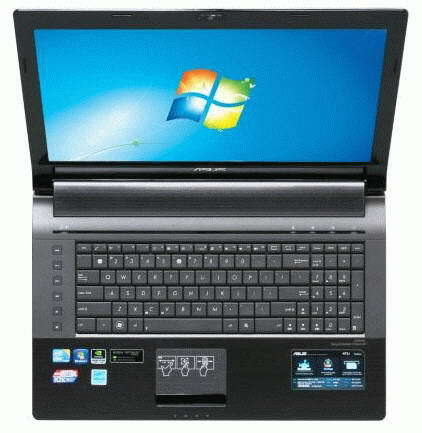 New Asus Eee PC 1215N Netbook comes pre-installed with Windows 7 Home Premium OS.The netbook includes a 6-cell battery as power option.The new Asus Eee PC 1215N Netbook is expected to be shipped by August 31st. Tags:-12.1-inch netbook, 1215N netbook, ASUS, USB 3.0 and Bluetooth 3.0 notebook, USB 3.0 and Bluetooth 3.0 laptop, USB 3.0 and Bluetooth 3.0 netbook price, USB 3.0 and Bluetooth 3.0 launch, USB 3.0 and Bluetooth 3.0 availability, Asus 1215N, Asus Eee PC 1215N Netbook with usb 3.0, Asus Eee PC 1215N Netbook features, Asus Eee PC 1215N Netbook price, Asus Eee PC 1215N Netbook specs, Asus Eee PC, Asus Eee PC 1215N, Bluetooth 3.0, Eee PC 1215N, netbook, usb 3.0 notebook. Samsung today going to launch its all new Galaxy S family smartphone named Samsung Captivate in US market via AT&T.The new Samsung Captivate will be available for a price tag $199.99 with a new 2-year contract.Samsung Captivate smartphone is also available in unlocked version for $499.99. New Samsung Captivate Smartphone comes equipped with a 4-inch WVGA touchscreen with Super AMOLED display and packs a 5-megapixel camera featured with 720p HD video recording.The new Samsung Captivate Smartphone also Features Bluetooth 3.0, WiFi b/g/n and GPS. 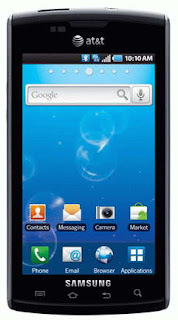 The all new Samsung Captivate Smartphone runs on Google Android 2.1 OS and has Samsung’s TouchWiz 3.0 UI.The smartphone has an internal memory of 16GB and can be expandable via a microSD card.Samsung Captivate Smartphone comes integarated with social network sites. 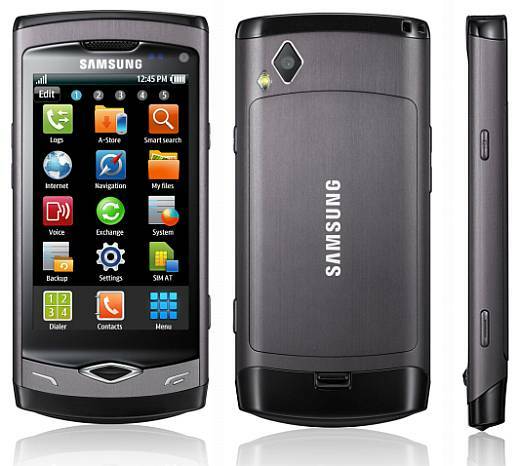 Samsung Captivate Smartphone weighs 4.5 ounces and its dimensions are 4.18 x 2.5 x 0.39 inches. Tags:-Android smartphone, AT&T, Samsung Captivate Smartphone price, Samsung Captivate Smartphone unlocked price, Samsung Captivate Smartphone unlocked availability, Samsung Captivate Smartphone price tag, Samsung Captivate Smartphone launch, Samsung Captivate Smartphone features, Samsung Captivate Smartphone details, Samsung Captivate Smartphone specifications, Samsung Captivate Smartphone release, Samsung Captivate Smartphone camera, AT&T Samsung Captivate, Captivate, Phone, Samsung, Samsung Captivate. 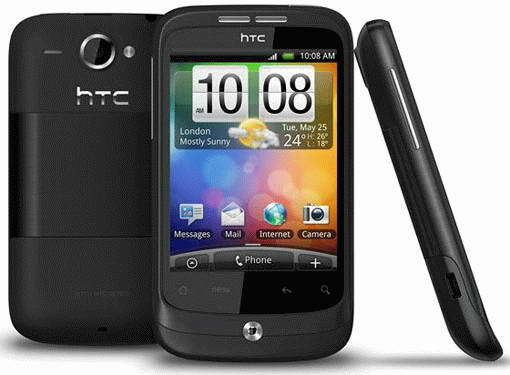 HTC recently made the availability of its all new smartphone named HTC Wildfire in Indian market.The new HTC Wildfire Smartphone now available as unlocked in Indian market for a price tag of 16,000 Rs(about $343). The new HTC Wildfire smartphone equips a 3.2-inch QVGA touchscreen display and is powered with 528MHz processor.The smartphone has a 512MB ROM and 384MB RAM memory.Other features of HTC Wildfire smartphone includes 5 megapixel autofocus camera with flash, GPS, Wi-Fi, 3.5mm headset jack, HTML browser, Stereo FM radio with RDS. 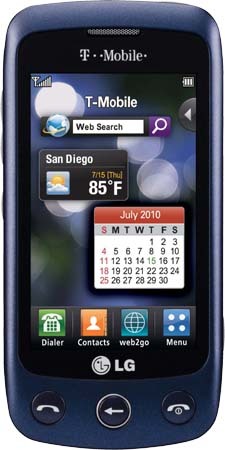 HTC Wildfire smartphone runs on Google Android 2.1 OS with the Sense UI.The smartphone is also integrated with social networks like Facebook, Twitter, MySpace, etc.HTC Wildfire smartphone includes a 1300 mAh battery which provides up to 8 hours of talktime and up to 480 hours of life in standby mode. Samsung Electronics recently introduced a new stylish notebook Pine Trail based netbook, named Samsung N220 Plus Premium.The new Samsung N220 Plus netbook comes in both red and black shades and features Bluetooth 3.0 interface. 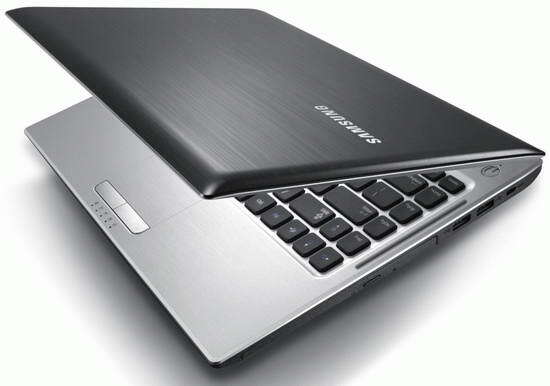 The all new Samsung N220 Plus Premium netbook comes equipped with a 10.1-inch LED-backlit display with 1024 x 600 pixel resolutions and a 1.66GHz Intel Atom N450 CPU.The netbook also houses an Intel GMA 3150 chipset along with a 2GB DDR2 RAM and a 320GB HDD. 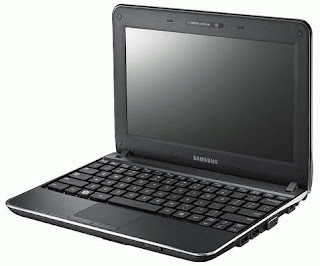 Samsung N220 Plus Premium netbook Features includes Wi-Fi 802.11b/g/n, Ethernet LAN, 0.3 megapixel webcam, Bluetooth 3.0, 4-in-1 memory card reader, 3x USB 2.0 ports and one USB with Sleep ‘n’ Charge.The new Samsung N220 Plus Premium netbook comes pre-installed with Windows 7 Home Edition. New Samsung N220 Plus netbook comes included with a 6-cell 4400 mAh lithium ion battery providing up to 11.5 hours of battery life.The netbook weighs 1.31 kg and its dimensions are 265 x 188.9 x 26 ~ 35.6 mm. Tags:-10.1-inch notebook, Bluetooth 3.0 notebook, Samsung N220 Plus Premium Netbook features, Samsung N220 Plus Premium Netbook specifications, Samsung N220 Plus Premium Netbook price details, Samsung N220 Plus Premium Netbook availability, N220 Plus Premium, netbook, Plus Premium, Premium, Samsung, Samsung N220, Samsung N220 Plus, Samsung N220 Plus Premium, Samsung N220Plus Premium. 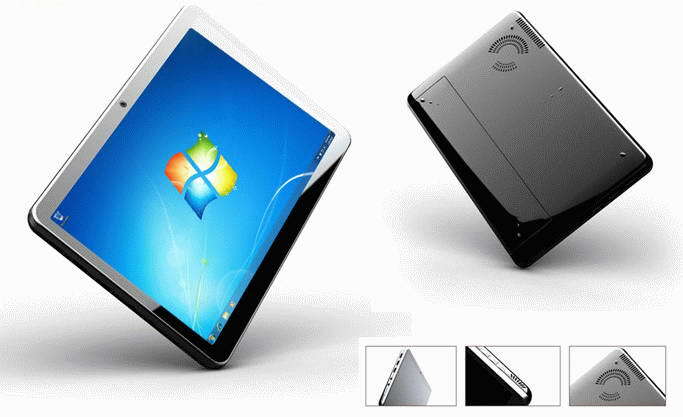 Rover Computers recently made the availability of its all new Android Tablet, named RoverPad Air G70.The new RoverPad Air G70 Tablet runs on Android 2.1 OS (image shows Windows CE 6.0) and is available now in Russian market for a price tag of 15000 rubles. The new RoverPad Air G70 Tablet comes equipped with a 7-inch resistive touchscreen display with resolution of 800 x 480 pixels (WVGA) and is powered with a 667MHz Samsung processor.The tablet houses a 256 MB RAM and a 4GB of internal memory. 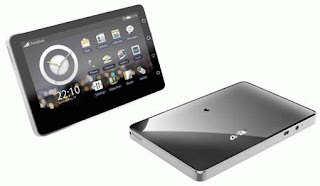 RoverPad Air G70 Tablet Features Wi-Fi, 3G module, camera, accelerometer, a microSD memory card slot, speakers, USB 2.0 port, two USB 1.1 port, TV out, headphone jack and a 5200 mAh battery as power option.THe tablet supports multimedia content formats include MP3, WMA, OGG, WAV and ADPCM (audio), MPEG-4, H.264, WMV/VC-1 and H.263 (video), FB2, HTML, CHM, Palmdoc, zTxt and RTF (documents) as well as JPEG, GIF, PNG and BMP (graphics). New RoverPad Air G70 tablet comes in the dimensions of 210 x 119 x 16 mm.As said earlier the price tag of the tablet is about 15000 rubles. 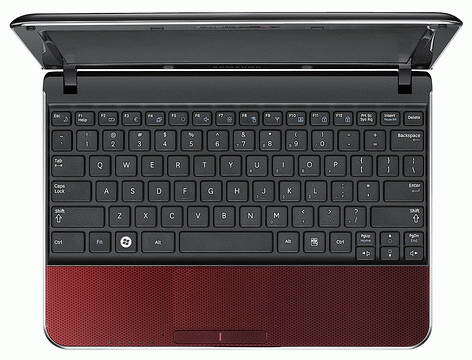 Tags:-Internet tablet, Rover Computers, RoverPad Air G70 Tablet price, RoverPad Air G70 Tablet features, RoverPad Air G70 Tablet specifications, RoverPad Air G70 Tablet details, RoverPad Air G70 Tablet availability, RoverPad Air G70 Tablet launch, RoverPad Air G70 Tablet specs, Rover RoverPad Air G70, RoverPad Air G70, tablet. Xplore just recently released their all new rugged tablet PC, named Xplore iX104C4HD.The all new Xplore iX104C4HD tablet is meet the Military Standard 810F (MIL-STD-810F) compliance and is able to withstand a 2 meter drop. 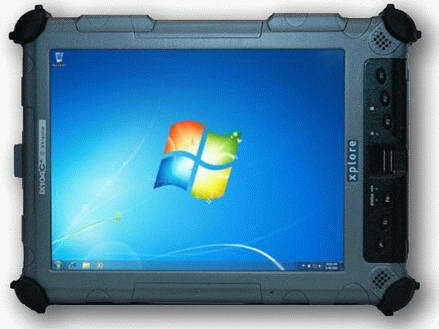 The all new Xplore iX104C4HD rugged tablet comes equipped with AllVue Xtreme LCD display technology and is powered with Intel Core Duo technology.The user interface is possible via touch and pen input.The LCD display technology provides visibility in all lighting conditions.The rugged tablet runs on Windows 7 platform. Tags:-Internet tablet, ix104c4hd, Rugged, Xplore iX104C4HD Rugged Tablet PC features, Xplore iX104C4HD Rugged Tablet PC details, Xplore iX104C4HD Rugged Tablet PC specs, rugged-tablet-pc, tablet, Tablet PC, windows 7 rugged tablet pc, xplore, xplore ix104c4, xplore ix104c4hd, xplore tablet pc. 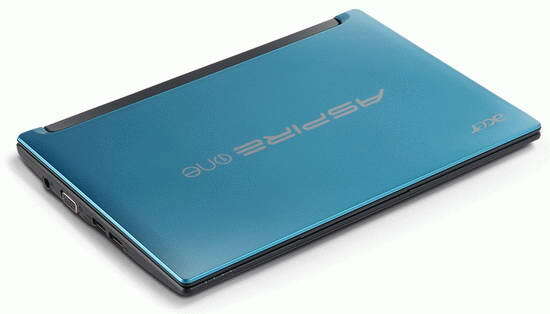 Asus recently made the availability of its new entertainment notebook, named Asus N73 (Asus N73JN-X1) in US.The all new Asus N73 notebook is now available for sale via newegg.com online store for a price tag of $999.99. 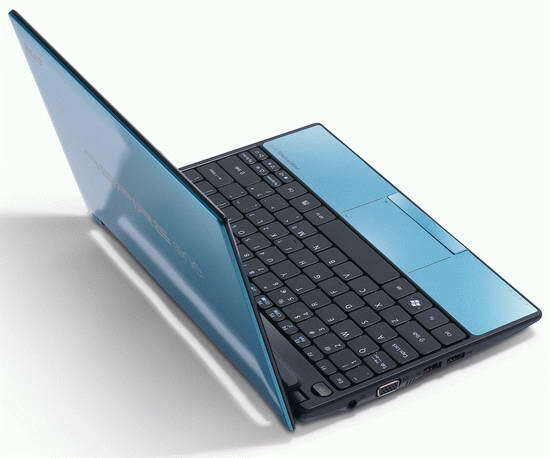 The new Asus N73 notebook is based on Intel’s Calpella platform and features SonicMaster high-end audio technology developed by Asus and Bang & Olufsen.The new N73 notebook comes pre-installed with Windows 7 Home Premium OS. The Asus N73JN-X1 notebook comes equipped with a a 17.3-inch LED-backlit display with resolution of 1600×900 pixels and is boasted with a a 2.4GHz Intel Core i5-450M processor.The notebook brings GeForce GT 335M 1GB graphics card that features Optimus technology. 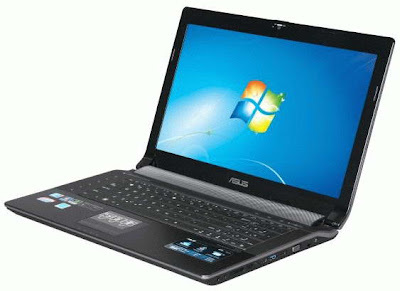 Asus N73 notebook brings a 4GB RAM module and a 500GB hard drive for storage purpose.The N73 notebook Features Bluetooth, 2MP webcam, DVD burner, 802.11b/g/n Wi-Fi, Gigabit Ethernet and an HDMI output.The notebook also includes a 6-cell lithium ion battery as back up option. Tags:-17.3-inch notebook, ASUS, Asus N73, Asus N73 Entertainment Notebook features, Asus N73 Entertainment Notebook price, Asus N73 Entertainment Notebook specifications, Asus N73 Entertainment Notebook availability, Asus N73JN-X1, Entertainment notebook, multimedia notebook, N73, Notebook. 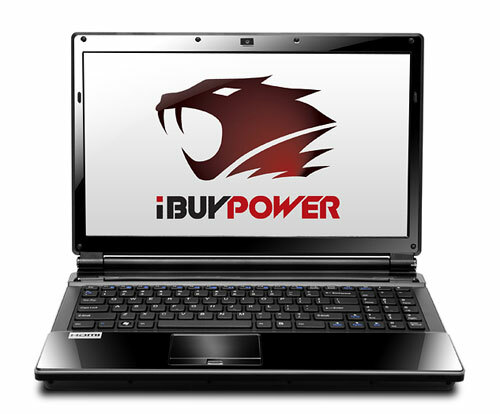 iBuyPower recently started the sale of its all new 3D laptop, named iBuyPower Battalion 101.The new iBuyPower Battalion 101 3D Laptop now available for sale for a price tag that starts at $1,660. 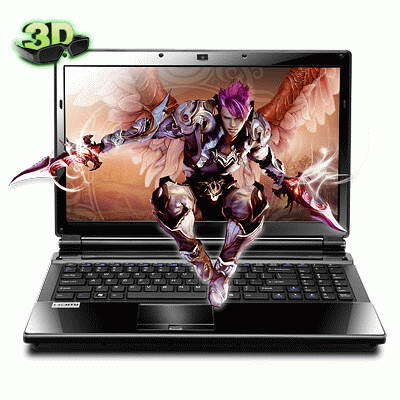 The all new iBuyPower Battalion 101 3D Laptop comes equipped with a 15.6-inch Widescreen 3D display with resolution of 1366 x 768 pixels and is powered with up to 2.66GHz Intel Core i5/i7 processor.The powerful 3D notebook packs 8GB RAM module along with either up to 750GB hard drive or up to 512GB SSD. 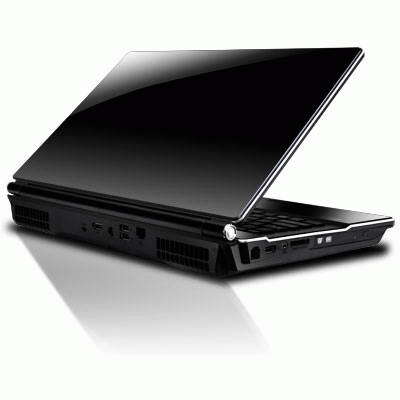 New iBuyPower Battalion 101 notebook Features 3D Premium Surround Sound Onboard, IEEE-1394 Firewire Port, webcam, Fingerprint Reader, Gigabit Ethernet, 802.11 a/g/n Wi-Fi, Blu-ray drive and card reader.The 3D laptop comes pre-loaded with Windows 7 Home Premium OS. iBuyPower Battalion 101 notebook comes bundled with special 3D glasses and is packed with a Li-Polymer 42.18WH battery for back-up life. 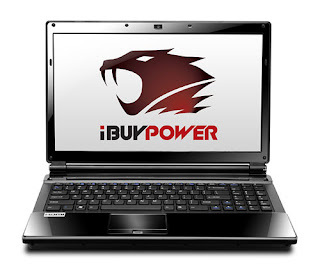 iBuyPower Battalion 101 3D Laptop features, iBuyPower Battalion 101 3D Laptop specifications, iBuyPower Battalion 101 3D Laptop details, Battalion 101, gaming laptop, iBuyPower, iBuyPower Battalion, iBuyPower Battalion 101, Notebook. Samsung on its way to release a new Pine Trail-based netbook, named Samsung N210 Plus Crystal.The new Samsung N210 Plus Crystal netbook comes featured with Bluetooth 3.0 interface and has long battery life.The netbook comes in a stylish Crystal White or in Black Crystal finish and has glossy bezel with fingerprint resistant capabilities. 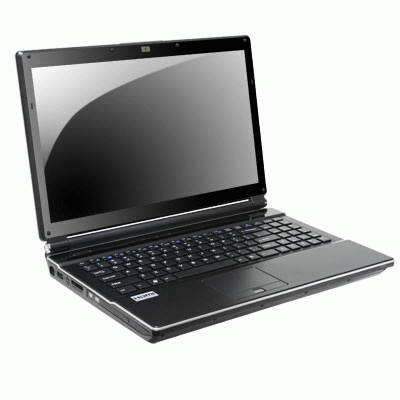 New Samsung N210 Plus netbook comes equipped with a 10.1-inch LED-backlit display with resolution of 1024 x 600 pixel and is powered with a 66GHz Intel Atom N450 processor.The netbook houses an Intel GMA 3150 chipset with 2GB DDR2 RAM and 250GB SATA HDD @ 5400rpm. All new Samsung N210 Plus netbook Features includes WiFi 802.11b/g/n, 10/100 Ethernet, Bluetooth 3.0, 1.5Wx2 stereo speakers with HD audio, 0.3 megapixel webcam, 4-in-1 memory card reader (SD/SDHC/SDXC/MMC), three USB 2.0 ports, one USB with Sleep’n'Charge feature, headphone and microphone jack, a VGA port and a microphone. 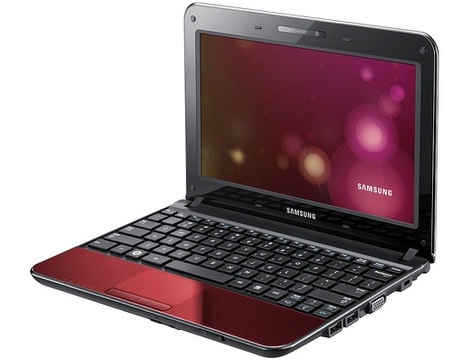 Samsung N210 Plus netbook comes pre-loaded with Windows 7 Starter OS.The netbook also includes a 6-cell 5900 mAh lithium ion battery that provides about 14 hours of back-up life.Samsung N210 Plus netbook weighs 1.31 kg and its dimensions are 265 x 188.9 x 26 ~ 35.6 mm. The all new Samsung N210 Plus will be available for sale with a price tag of €349. 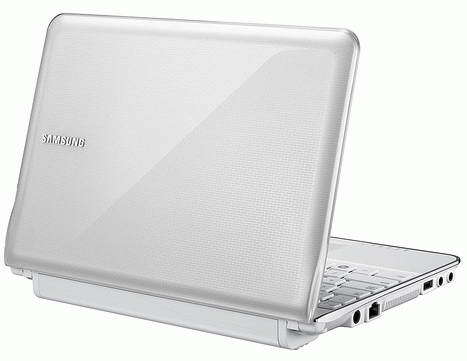 Tags:-10.1-inch, Bluetooth 3.0 netbook, Samsung N210 Plus netbook features, Samsung N210 Plus netbook details, Samsung N210 Plus netbook price, Samsung N210 Plus netbook specifications, N210 Plus Crystal, netbook, Plus Crystal, Samsung, Samsung N210, Samsung N210 Plus, Samsung N210 Plus Crystal, Samsung N210Plus Crystal. Samsung just recently annouced the introduction of their all new Q-series notebook, named Samsung Q330, Samsung Q430, and Samsung Q530.All the new Q-series notebooks are based on Intel's new Calpella platform and has several multimedia features along with professional qualities. The all new Samsung Q330, Q430 and Q530 notebook comes eqiuipped with 13.3 inch, 14 inch and 15.6 inch LED-backlit display respectively.The notebook comes powered with Intel Core i3/i5 processor and houses a 3GB RAM in case of Samsung Q330, while the other two includes 4GB memory module.For storage the notebook comes with 320GB/500GB of hard drive. New stylish Samsung Q-series notebooks supports nVidia Optimus technology that helps in automatically switch between an Intel HD graphics core and a GeForce 310M graphics card there by increasing the battery life.In Samsung Q430 and Q530 notebook the graphics card included is GeForce GT 330M graphics with 1GB of vAM. 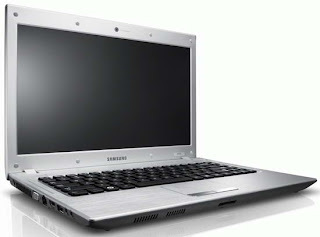 Samsung Q-series notebooks Features Wi-Fi, Bluetooth 3.0, webcam, card reader, a 3-in-1 card reader, HDMI outputs, and USB port.The laptops is also provided with facilities for charging gadgets even laptop in turn off condition.Q-series notebooks battery provides up to 7 hours of battery life and weighs about 2 kg. 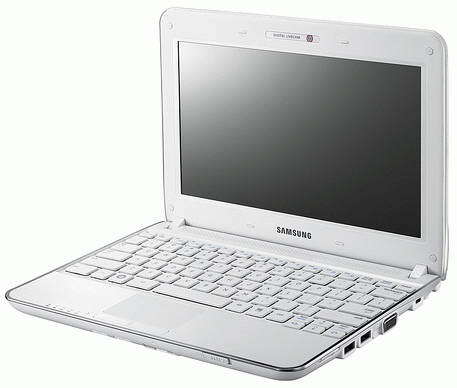 The new Samsung Q-series multimedia notebook is expected to hit markets by end of this month. 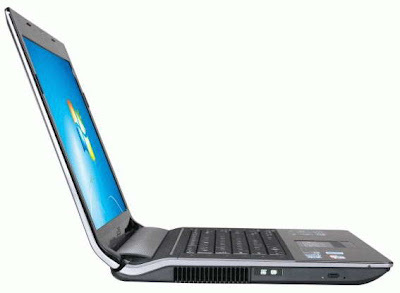 Tags:-Calpella Notebook, intel calpella, Samsung Q-series multimedia notebook features, Samsung Q-series multimedia notebooks details, Samsung Q-series multimedia notebooks specs, Samsung Q-series multimedia notebooks specifications, Samsung Q-series multimedia notebooks launch, Samsung Q-series multimedia notebooks availability, Samsung Q-series multimedia notebooks images, Notebook, NVIDIA Optimus, Samsung, Samsung Q330, Samsung Q430, Samsung Q530. Sony Corporation recently introduced their all new touchscreen compact camera, named Sony Cyber-shot DSC-T99 in japanese market.The new Sony Cyber-shot DSC-T99 camera comes available for sale by mid-September 2010 in shades of black, silver, pink, green and violet. The new Sony Cyber-shot DSC-T99 camera comes packed with 14.1 Megapixels Super HAD CCD sensor, Carl Zeiss lens with 4x optical zoom and high-performance BIONZ image processor.The Sony Cyber-shot T99 Touchscreen camera also provides supports for 720p HD video recording with resolution of 1280 x 720 pixels at 30 frames per second. New Sony Cyber-shot DSC-T99 camera comes equipped with a 3-inch touchscreen display and comes housed with 32 MB of internal memory.The camera also includes a Memory Stick PRO Duo and SD/SDHC card slot and features Optical SteadyShot image stabilization and an ISO sensitivity of up to 3200. Sony Cyber-shot DSC-T99 touchscreen camera weighs about 105g and its dimensions are 93 x 56 x 17 mm.The new Sony Cyber-shot DSC-T99 camera will be available for a price tag of $250. 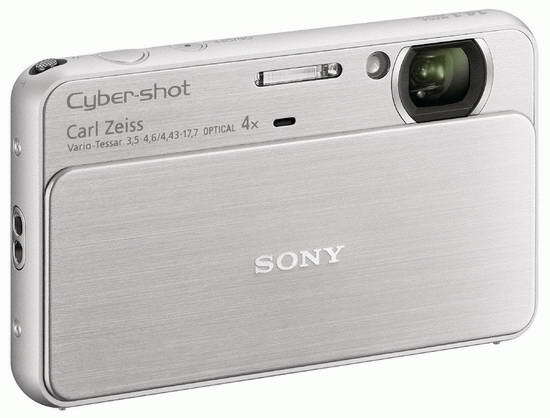 Tags:-Camera, compact camera, Cyber-shot DSC-T99, Sony Cyber-shot DSC-T99 touchscreen camera features, Sony Cyber-shot DSC-T99 touchscreen camera details, Sony Cyber-shot DSC-T99 touchscreen camera specs, Sony Cyber-shot DSC-T99 touchscreen camera images, DSC-T99, sony, Sony Cyber-shot, Sony Cyber-shot DSC-T99, Sony Cyber-shot T99, Sony DSC-T99, Sony T99, Touchscreen camera. LG Electronics recently made the availability of its new Cookie line up mobile phone, named LG Cookie Zip in Indian market.The new LG Cookie Zip handset is designed for standard cellular networks, CDMA EV-DO connectivity.LG Cookie Zip phone is now available for a price tag of Rs. 8,299 (about $177). The new LG Cookie Zip handset packs a 7.6-cm full touchscreen display with resolution of 240 x 400 pixels (WQVGA).Other features of LG Cookie Zip phone includes 2 Megapixel camera, FM tuner, and Bluetooth 2.1.The LG Cookie Zip phone has an internal memory of 72 MB and can be expanded via a microSD card up to 4GB. LG Cookie Zip CDMA phone cam be used by subscribers of Reliance, Tata Indicom, Virgin Mobile, and MTS.The handset promises up to 3.1Mbps EV-DO connectivity speed.New LG Cookie Zip handset weighs 90g and its dimensions are 107 x 55.4 x 11.9 mm.The handset is also provided with supports for social network sites. 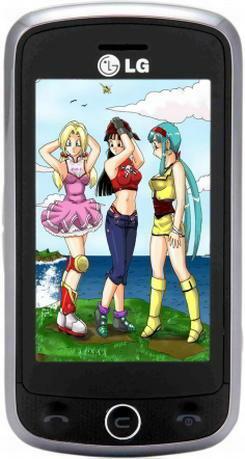 New LG Cookie Zip CDMA phone is truly an entertainment handset and is available across the stores in India for a price of 8,299 Rupees. Tags:-CDMA handset in india, Cookie Zip, entertainment CDMA phone, India, LG, LG Cookie, LG Cookie Zip, LG Cookie Zip, CDMA touchscreen phone, LG touchscreen phone, LG touchscreen phone in india, LG Cookie Zip CDMA touchscreen phone india price, LG Cookie Zip CDMA touchscreen phone india availability, LG Cookie Zip CDMA touchscreen phone india price details, LG Cookie Zip CDMA touchscreen phone features, LG Cookie Zip CDMA touchscreen phone specs. 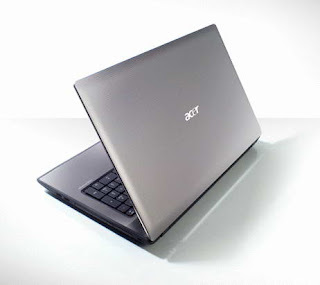 Acer now on its way to introduces its first Atom powered netbook soon in market.The new stylish desiged notebook is named as Acer Aspire One D255.The new Acer Aspire One D255 notebook comes powered with dual core Atom processor. The all new Acer Aspire One D255 Netbook equips a 10.1-inch CrystalBrite LED-backlit display with resolution of 1024×600 pixel and boosted with a 1.5GHz Intel Atom N550 processor.The netbook also packs an Intel GMA 3150 integrated graphics card. Acer Aspire One D255 Netbook is actually based on the recently launched Aspire One D260 model.The netbook houses a 1GB RAM module and a 250GB hard drive for storage.New Aspire One D255 netbook Features Bluetooth, 802.11 b/g/n Wi-Fi, 93% standard-size keyboard and also a 6-cell battery for providing back-up power. 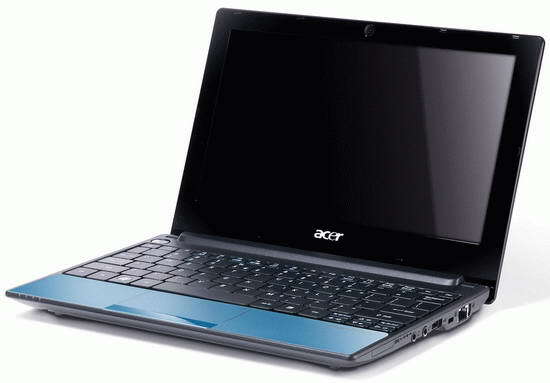 Tags:-10.1-inch netbook, acer, Acer AOD255, Acer Aspire One D255 Atom powered Netbook features, Acer Aspire One D255 Atom powered Netbook details, Acer Aspire One D255 Atom powered Netbook specifications, Acer Aspire One D255 Atom powered Netbook launch, Acer Aspire, Acer Aspire One, Acer Aspire One D255, Acer D255, Aspire One D255, Atom N550, D255, netbook, One D255. LG recently introduced its all new touchscreen phone, named LG Sentio via T-Mobile.The all new LG Sentio Touchscreen Phone is available for a price tag of $69.99 with a 2-year contract agreement and after a $50 mail-in rebate. All new LG Sentio handset comes equipped with a 3-inch touchscreen display and has a virtual QWERTY keyboard.LG Sentio phone features 3MP camera with video capture, a microSD card slot, visual voicemail, a media player, built-in GPS and 3G connectivity. LG Sentio handset is designed to support quad band GSM (850/900/1800/1900 MHz) and UMTS (1700/2100) networks.The new handset includes a 900mA battery that provides 6 hours of talk time and up to 16 days of life in standby mode.LG Sentio phone weighs 3.3 ounces and its dimensions are 4.2 x 2.1 x 0.5 inches. Tags:-LG, LG Sentio, LG Sentio Touchscreen Phone price, LG Sentio Touchscreen Phone features, LG Sentio Touchscreen Phone specifications, LG Sentio Touchscreen Phone launch, LG Sentio Touchscreen Phone release, LG Sentio Touchscreen Phone details, LG Sentio Touchscreen Phone availability, LG Sentio Touchscreen Phone specs, LG Sentio Touchscreen Phone price details, Phone, Sentio, T-Mobile, T-Mobile Sentio, touchscreen phone. Pioneer Computers Australia recently made the availability of its all new tablet, named DreamBook ePad L11.The all new DreamBook ePad L11 tablet features next-gen nVidia ION and 3G module.The tablet comes pre-installed with Windows 7 Home Premium OS.The ePad tablet is based on Intel's Pine Trail platform. The all new DreamBook ePad tablet comes equipped with a 11.6-inch display of 1366 x 768 pixels resolution and is powered with 1.66GHz Atom N450 processor.The tablet comes housed with either an Intel integrated graphics card or next-gen nVidia ION GeForce GT218 discrete accelerator. DreamBook ePad L11 tablet includes up to 2GB of RAM and up to 64GB SSD for storage option.The ePad tablet comes integrated with social networks such as Twitter, Facebook, Flickr etc..
New DreamBook ePad L11 tablet Features 1.3 megapixel webcam, Bluetooth 2.1 + EDR, Wi-Fi 802.11b/g/n, SDHC memory card slot, two USB ports, stereo speakers and optional 3G module and GPS.The ePad tablet also houses a 2-cell Embedded Lithium-ion Polymer battery. ePad tablet weighs about 940g and its dimensions are 295 x 195 x 14 mm.The new DreamBook ePad L11 Pine Trail Tablet is now available for a price tag of $700. Tags:-11.6-inch tablet, DreamBook ePad L11, Internet tablet, DreamBook ePad L11 Pine Trail Tablet features, DreamBook ePad L11 Pine Trail Tablet specifications, DreamBook ePad L11 Pine Trail Tablet details, DreamBook ePad L11 Pine Trail Tablet price, DreamBook ePad L11 Pine Trail Tablet price details, DreamBook ePad L11 Pine Trail Tablet availability, DreamBook ePad L11, Pine Trail Tablet, 3G tablet, Ion 2 tablet, Pioneer Computers, Pioneer Computers DreamBook ePad L11, tablet. 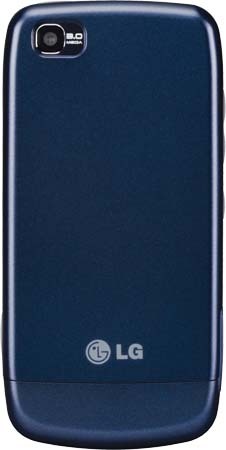 Samsung just recently made the availability of unlocked version of its bada-powered handset, the new Samsung Wave S8500.The unlocked version of Samsung Wave S8500 handset is now available at Amazon online shop for a price tag of $399.95 and you could easily order it from amazon. The new Samsung Wave S8500 handset comes integrated with popular social network site like youtube, facebook etc and features HD video playback. Samsung Wave S8500 mobile phone comes equipped with a 3.3-inch touchscreen Super AMOLED display with resolution of 800 x 480 pixels and houses a 5 megapixel autofocus camera with LED Flash.The new Samsung Wave S8500 phone Features Image Stabilization, Geo Tagging, Blink Detection, Panorama Shot, Face Recognition, Camera Effects (Lomo, Vintage and Beauty) and also can record HD video (720 x 480 pixel) at 30fps with video zoom and LED video light. 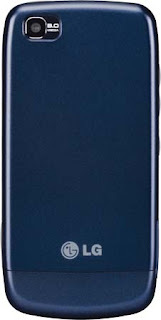 New Samsung Wave S8500 mobile comes included with a 1500 mAh battery that provides up to 8.5 hours of talk time, 450 hours in standby, 35 hours of music playback, up to 5.5 hours in video playback. 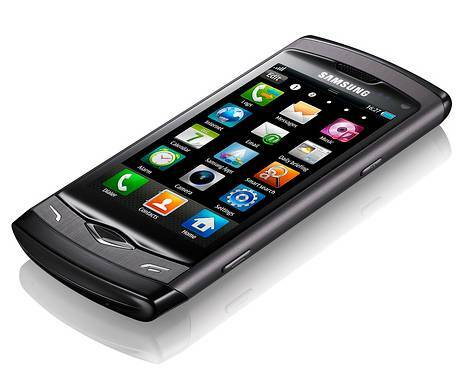 Tags:- Unlocked Samsung Wave S8500, Bada, Bada Phone, Unlocked Samsung Wave S8500 handset features, Unlocked Samsung Wave S8500 mobile phone specifications, Unlocked Samsung Wave S8500 details, Unlocked Samsung Wave S8500 specs, Unlocked Samsung Wave S8500 handset availability, Unlocked Samsung Wave S8500 price, Unlocked Samsung Wave S8500 price details, Unlocked Samsung Wave bada handset, Phone, S8500, Samsung, Samsung S8500, Samsung S8500 Wave, Samsung Wave, Samsung Wave S8500, Unlocked Phone. Lenovo recently started the sale of their first 3D-capable laptop, named Lenovo IdeaPad Y560d.The new Lenovo IdeaPad Y560d 3D Notebook now available in US market for a price tag of $1499 and is shipped within 19 business days. The all new Lenovo IdeaPad Y560d 3D Notebook comes bundled with polarized 3D glasses and features TriDef technology which allows the conversion of 2D content into 3D view.The 3D notebook comes pre-loaded with Windows 7 Home Premium 64bit OS. 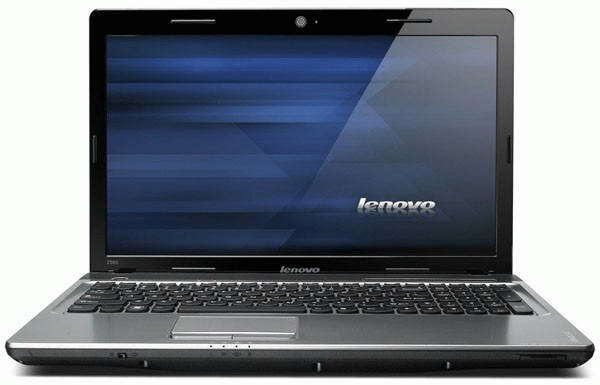 Lenovo IdeaPad Y560d 3D Notebook comes equipped with 15.6-inch HD widescreen display with 1366×768 pixel resolution and is powered with 1.6GHz Intel Core i7-720QM processor.The 3D notebook houses a powerful ATI Mobility Radeon HD 5730 graphics card with 1GB VRAM providing smooth functioning of 3D movies and 3D games. 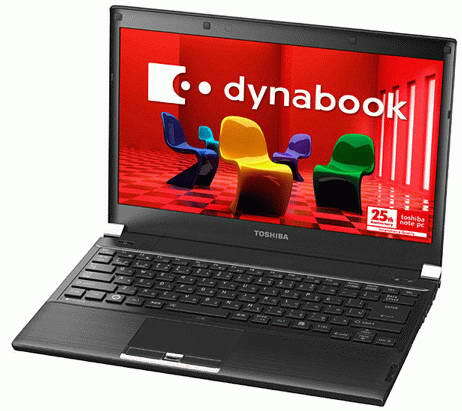 New Lenovo IdeaPad Y560d 3D Notebook comes housed with a 4GB DDR3 RAM and 500GB hard drive for storage.The notebook packs a 6-cell Lithium-Ion battery for providing back-up life.After all the 3D notebook from Lenovo is an ideal one for multimedia enthusiasts and gamers. Tags:-15.6-inch notebooks, 3D laptop, 3D notebook, IdeaPad Y560d, lenovo, Lenovo IdeaPad, Lenovo IdeaPad Y560d, Lenovo Y560d, Notebook, Lenovo IdeaPad Y560d 3D Notebook features, Lenovo IdeaPad Y560d 3D Notebook price, Lenovo IdeaPad 3D Notebook, Lenovo 3D Notebook, Lenovo 3D Notebook specifications, Lenovo 3D Notebook availability, Lenovo 3D Notebook price details, Lenovo 3D Notebook price, Lenovo 3D Notebook details, Lenovo 3D Notebook specifications, Y560d. Nokia recently made the availability of its all new C-series mobile phone in Indian market, named Nokia C5.The new Nokia C5 mobile phone now available at mobile retailer out-lets across India for price tag of Rs 8,200 (about $175). The all new Nokia C5 handset packs a 2.2-inch QVGA display and comes integrated with social networks including Facebook, YouTube, MySpace, hi5 and Friendster apps.Other Nokia C5 features includes 3.2 megapixel camera, stereo Bluetooth, GPS, 3G and 3.5mm headset jack. 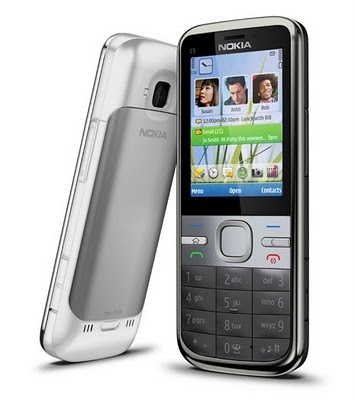 New Nokia C5 mobile phone runs on Symbian S60 3rd edition.The handset has an internal memory of 50 MB and includes a microSD card slot for memory expansion up to 16 GB.The C5 handset is also packed with Ovi Maps 3.0 with navigation facility. You could find more details on the related topics provided below.. Tags:-Nokia C5 india price, Nokia C5 india features, Nokia C5 specifications, Nokia C5 india availability, Nokia C5 launch in india, Nokia C5 india release, Nokia C5 release in india, c5, cseries, India, Nokia, Nokia C5, Phone, Social and Sharing Phone from nokia, nokia social phone in india. Samsung in join hands with Reliance mobile operator now on its way to introduce a new Android smartphone in Indian market, named Samsung I899 Galaxy.The new Samsung I899 Galaxy handset is said to be the first CDMA-based Android phone to launch in India.The handset runs on Google Android OS. The upcoming Samsung Galaxy I899 CDMA-based Android Smartphone equips a 3.2-inch touchscreen AMOLED display with resolution of 480×800 pixel and Features 3.2MP autofocus camera with LED flash, Wi-Fi, Bluetooth, GPS and a microSD memory card slot.The handset is provided with supports for DivX video playback and houses a 1440 mAh battery. 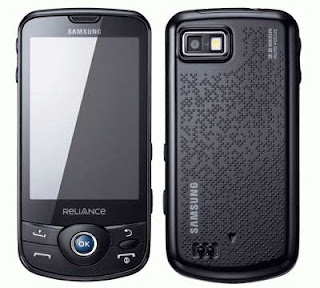 Tags:-CDMA-based Android, CDMA-PHONE, Samsung Galaxy I899 CDMA-based Android Smartphone features, Samsung Galaxy I899 CDMA-based Android Smartphone specifications, Samsung Galaxy I899 CDMA-based Android Smartphone details, Samsung Galaxy I899 CDMA-based Android Smartphone availability, Samsung Galaxy I899 CDMA-based Android Smartphone india launch, Samsung Galaxy I899 CDMA-based Android Smartphone india release, Samsung Galaxy i899, Samsung I899 Galaxy. Fujitsu recently made the availability of its all new ultra-light notebook in US market, named Fujitsu LifeBook PH520.The all new Fujitsu LifeBook PH520 notebook is based on AMD’s 2010 ultrathin platform and includes a 82-key spill-resistant keyboard.The notebook comes available in flashy red painjob enclosure. The all new Fujitsu LifeBook PH520 notebook now available in US market with a price tag that starts at $599. New Fujitsu LifeBook PH520 notebook equips a 11.6-inch Crystal View display with native resolution of 1366 x 768 pixels and is powered with a 1.7 GHz AMD Athlon II Neo K125 processor.The notebook packs a Mobility Radeon HD 4225 integrated graphics card and runs on Windows 7 Professional OS. 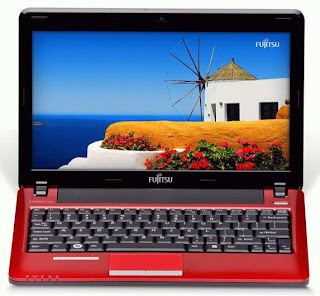 Fujitsu LifeBook PH520 notebook houses a 2GB of RAM, and a 320GB hard drive for storage options.The notebook Features 1.3 megapixel webcam, 802.11 b/g/n WiFi, Ethernet LAN and Bluetooth.The notebook houses a 6-cell battery that provides about 6.2 hours of battery life. 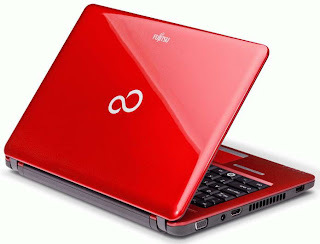 Tags:-11.6-inch, Fujitsu, Fujitsu LifeBook PH520 notebook features, Fujitsu LifeBook PH520 notebook specifications, Fujitsu LifeBook PH520 notebook details, Fujitsu LifeBook PH520 notebook availability, Fujitsu LifeBook PH520 notebook specs, Fujitsu LifeBook, Fujitsu LifeBook PH520, Fujitsu PH520, LifeBook PH520, Notebook, PH520. A-Data Technology, one of Taiwanese hardware manufacturer recently introduced External Hard Drive featuring USB 3.0 interface.The new USB 3.0 External Hard Drive is named as A-Data NH03 belongs to the A-Data Nobility series.The new A-Data NH03 external hard drive comes houses in a stylishly designed chassis with ventilation for cooling purposes. The new A-Data NH03 USB 3.0 external hard drive is a 3.5-inch hard drive and is supported 256-bit AES (Advanced Encryption Standard) encryption.The hard drive is provided with special button for auto backup purpose. A-Data NH03 USB 3.0 external hard drive comes available in capacities of 1TB, 1.5TB, and 2TB.As said the drive features USB 3.0 interface capable of providing a data transfer rate of 140 Mbps and is also compatible with USB 2.0. 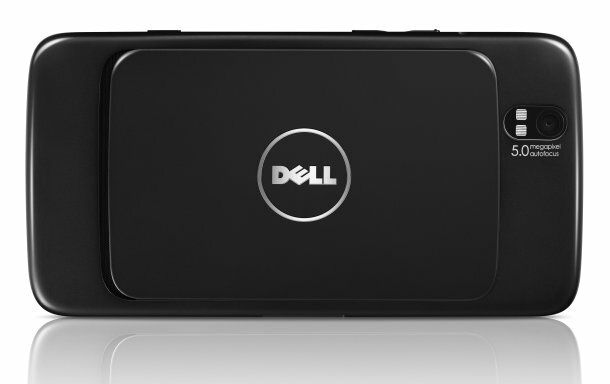 New A-Data NH03 external hard drive weighs about 1kg and its dimensions are 150 x 48 x 178 mm.The hard drive will be available with a three-year warranty. 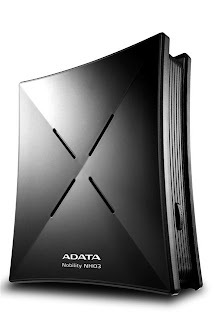 Tags:-A-DATA, A-Data NH03, External Hard Drive, external HDD, USB 3.0 External Hard Drive features, USB 3.0 External Hard Drive details, USB 3.0 External Hard Drive capacities, USB 3.0 External Hard Drive availability, USB 3.0 External Hard Drive, USB 3.0, External Hard Drive, NH03, usb 3.0, USB 3.0 External HDD.